At the opening sitting of the 11th Riigikogu Ene Ergma was elected the President of the Riigikogu, Kristiina Ojuland and Jüri Ratas were elected the Vice-Presidents of the Riigikogu. The President of the Republic Toomas Hendrik Ilves opened the first sitting and also made a speech. Then the members of the Riigikogu took the oath of office. The text of the oath of office was read by the eldest member of the Riigikogu Jaan Kundla. 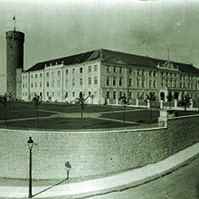 After the members of the Riigikogu began to perform their duties, the elections of the Board of the Riigikogu were held, which were organised by the National Electoral Committee. Until the election for the President of the Riigikogu the sitting was chaired by Deputy Chairman of the National Electoral Committee Meelika Aava. Member of the Riigikogu Peeter Tulviste nominated Ene Ergma as a candidate for the President of the Riigikogu. 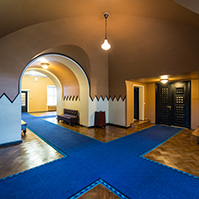 98 members of the Riigikogu took part in secret ballot. 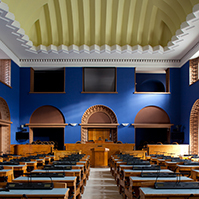 91 members of the Riigikogu voted in favour of Ene Ergma, six members of the Riigikogu voted against her and one ballot was invalid. Thus Ene Ergma was elected the President of the Riigikogu. 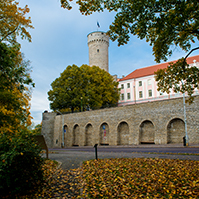 Member of the Riigikogu Maret Maripuu nominated Kristiina Ojuland as a candidate for the Vice-President of the Riigikogu, and Vilja Savisaar nominated Jüri Ratas as a candidate for the Vice-President for the Riigikogu. 98 members of the Riigikogu took part in secret ballot. 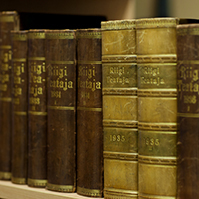 55 members of the Riigikogu voted in favour of Kristiina Ojuland and 38 members of the Riigikogu in favour of Jüri Ratas. There were 5 invalid ballots. Thus Kristiina Ojuland was elected the First Vice-President of the Riigikogu and Jüri the Second Vice-President of the Riigikogu. 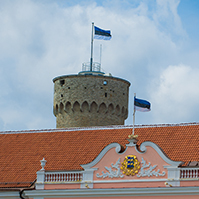 After the election of the Board of the Riigikogu, Prime Minister Andrus Ansip notified of the resignation of the Government in accordance with the Constitution.